Manny was on pace for another productive season with the Orange and Black before going down with a torn ACL on August 25. He finished the campaign with 32 receptions for 563 yards and one touchdown through nine games. Manny’s best game of the season occurred in week 6 when he had 152 yards receiving and one touchdown against the Ottawa RedBlacks. Emmanuel appeared in all 18 games for the fourth time in his Lions career hauling in 100 receptions for 1,137 yards and six majors. His receptions were a team-high while his yardage trailed only Bryan Burnham and was the seventh-highest among all CFL receivers. Emmanuel hit the 100-yard mark four times in 2017 with his best performance coming in a victory over Montreal on Sep 8 when he hauled in six catches for 108 yards and a touchdown. The lofty numbers including his third consecutive 1000-yard season has elevated him to second all-time among Lions in receptions (524) and third all-time in yards (7,616). 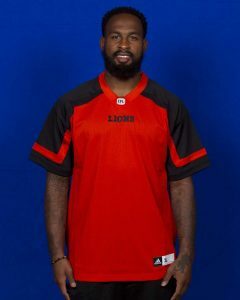 Emmanuel enjoyed a career year in 2016 as he led all Lions’ receivers with 105 catches for 1,566 yards and also led the entire CFL with 13 touchdown receptions. He became the first Lion to surpass the century-mark in catches since Geroy Simon in 2006 and twice hit the 10-catch mark in games versus Winnipeg (10-150) and Saskatchewan (10-180). 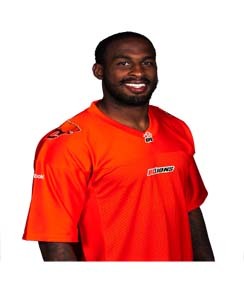 His stellar play in October which included two of his six 100-yard efforts on the year earned him CFL Player of the Month honours. 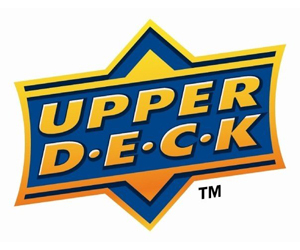 In addition, he took home CFL Top Performer of the Week kudos three times and earned his second-consecutive CFL and West Division All-Star selections. In the postseason, Manny recorded 10 receptions for 124 yards and a touchdown. A banner year for the five-year Lions vet as he led the club in receiving yards with 1,151 on 76 receptions with nine majors and three 100-yard performances. 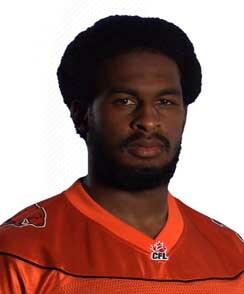 The lofty numbers were career-highs for Arceneaux and ranked him fourth among all CFL receivers and earned him his first West Division and CFL All-Star honour. A standout year for the veteran pass-grabber as he led the club with 905 yards on 62 receptions with eight majors over 15 regular season games. Hitting the 100+ yard mark three times in 2014, Manny’s best outing came July 19/14 versus Montreal as he torched the Als secondary for 145 yards on eight receptions and three touchdowns which also earned him Offensive Player of the Week honours. Other notable games were his 103-yard performance at home against Hamilton on Aug 8/14 and a dazzling 119-yard game on nine catches versus the Argos on Sep 19/14. 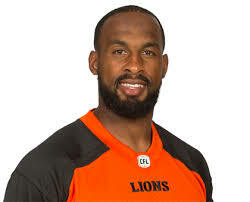 Emmanuel rejoined the Lions in late May 2013 after being released by the New York Jets. 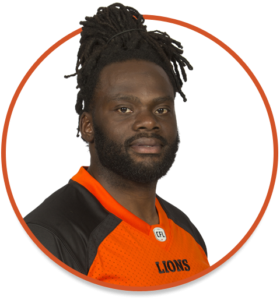 He had a notable season in his third campaign as a BC Lion with 885 yards on 51 receptions despite battling through a number of injuries. He made 16 starts and was one of five CFL receivers to make 10 or more catches of 30+ yards. Emmanuel also had three 100-yard games in 2013 including a season-high 113 yards vs Hamilton on Aug 30/13. 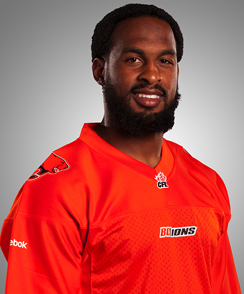 He also caught three passes for 92 yards and two TDs on Oct 25/13 vs Edmonton. 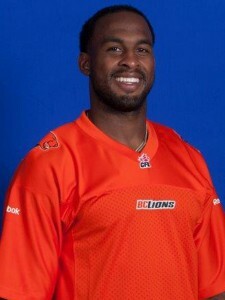 Emmanuel rejoined the Lions in late May after being released by the New York Jets. He orginally signed with the Minnesota Vikings in January 2011 and was placed on the club’s practice roster coming out of training camp. He dressed for the Vikes’ final regular season games and recorded one reception for 10 yards. The Vikings released him the following season during training camp. He was then signed by the Washington Redskins and placed on the club’s practice roster. Emmanuel’s final NFL stop came with the New York Jets who signed him in December 2012 and released him this past May. Emmanuel recorded an impressive sophomore season for the Lions reaching the 1,000-yard receiving mark for the first time in his pro career. He ranked 11th in the CFL with 1,114 receiving yards on 67 receptions with both totals surpassing his rookie year output. He posted three 100-yard games including a career-high 164 yards on eight catches on the final weekend win at Hamilton to secure a playoff spot. Emmanuel finished with 858 yards on 63 receptions and added seven TDs which ranked him third on the team and 15th in the CFL. He recorded career-highs of 158 yards and nine receptions on Aug 21, 2009 vs Winnipeg and had two 100-yard throughout the season. Emmanuel appeared in 32 games over four seasons (’05-’08) at Alcorn State and recorded 99 receptions for 1,618 yards and 12 TD’s. He was the team’s third-leading receiver in three of his four seasons and the school’s second-leading receiver in 2007. The speedy native of Louisiana was also a member of the Alcorn State track team. Emmanuel attended Peabody Magnet High School and lettered in football and track/field. He was an All-District wide receiver and free safety and as well honourable mention placekicker during his senior season. While attending Alcorn State, he majored in Recreation.